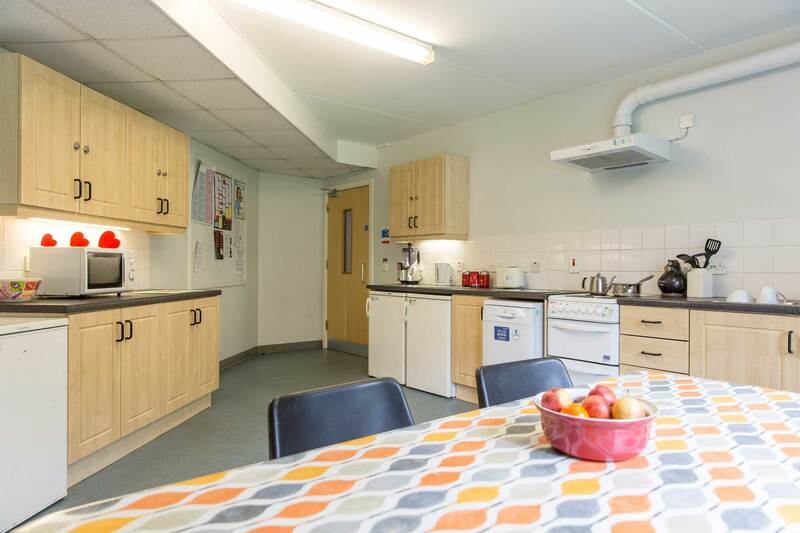 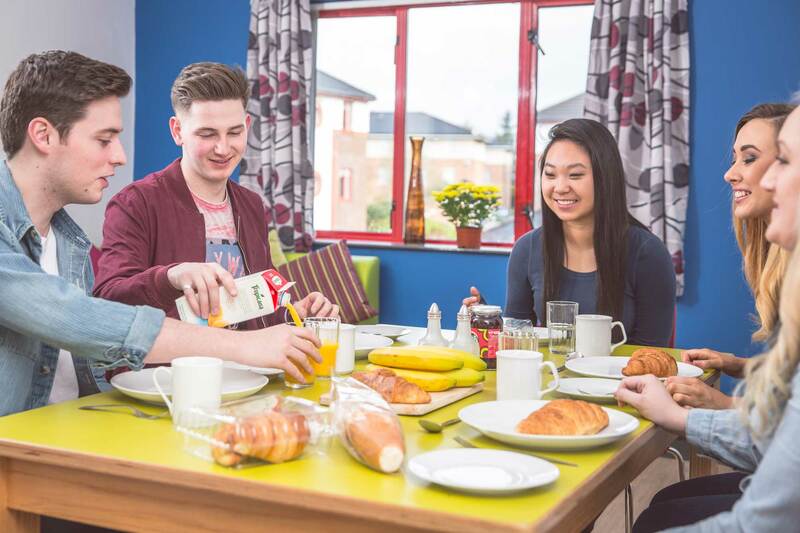 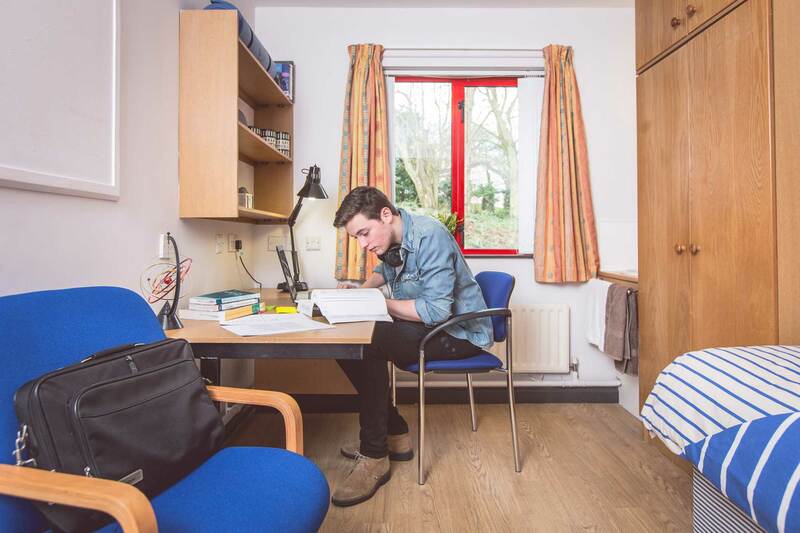 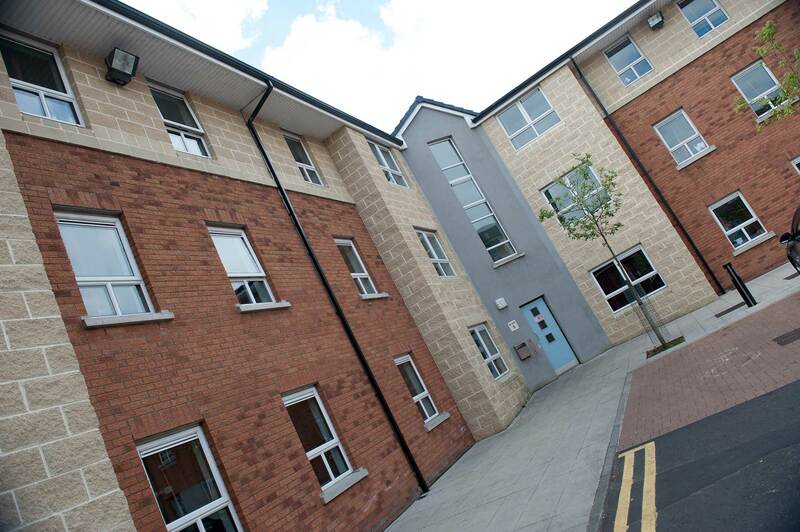 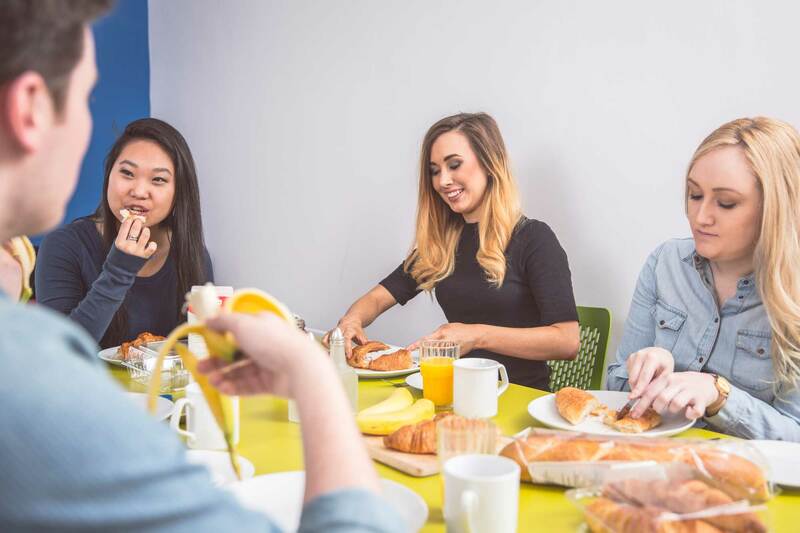 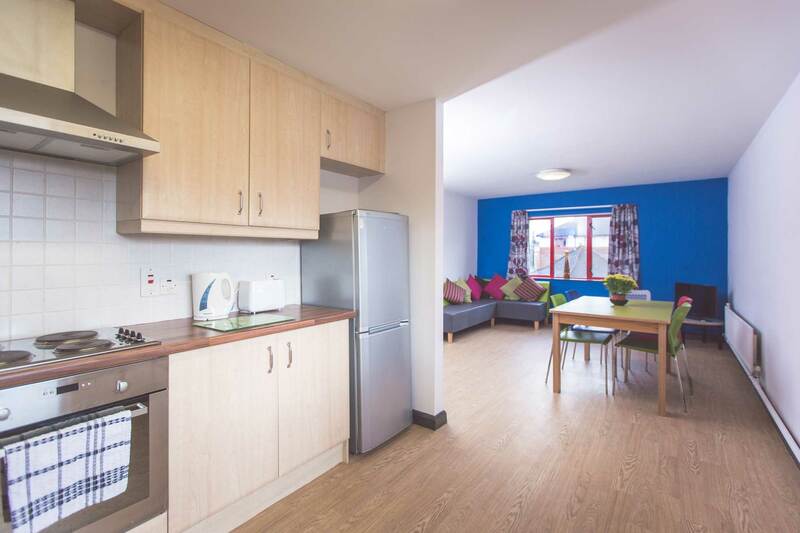 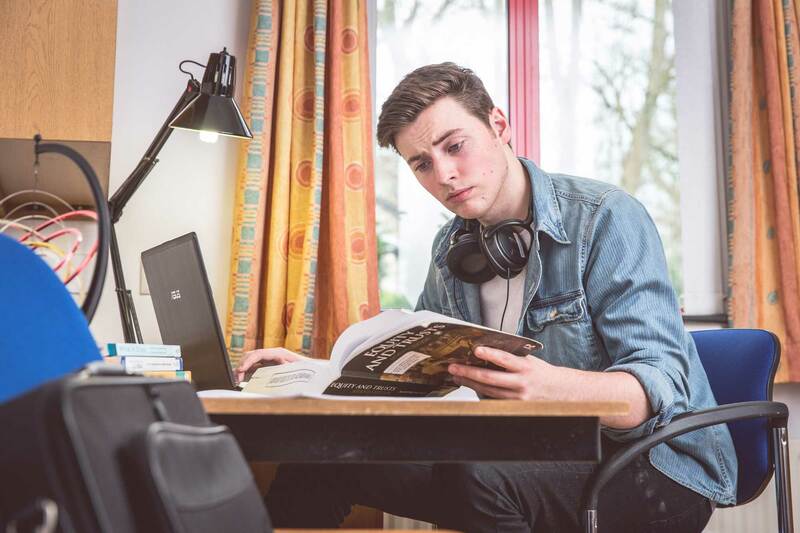 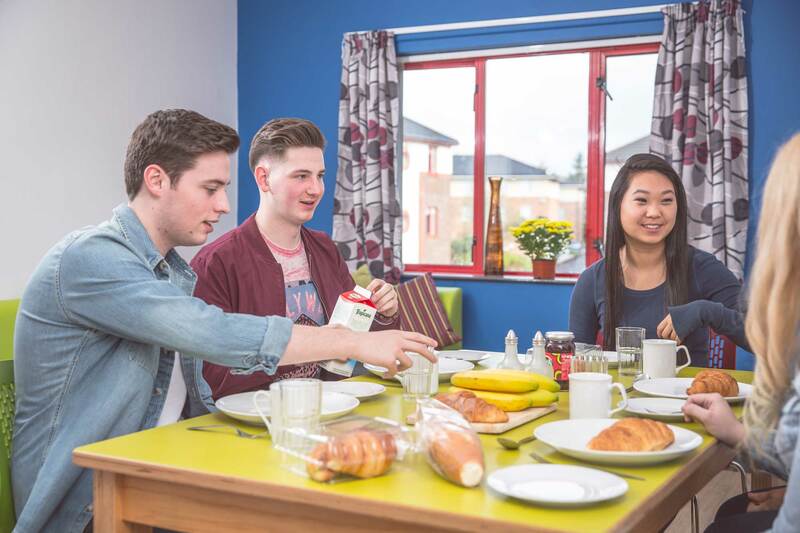 Duncreggan Student village comprises of 14, three storey blocks offering a mix of self-catering accommodation ranging from ensuite study bedrooms to a selection with shared bathrooms. 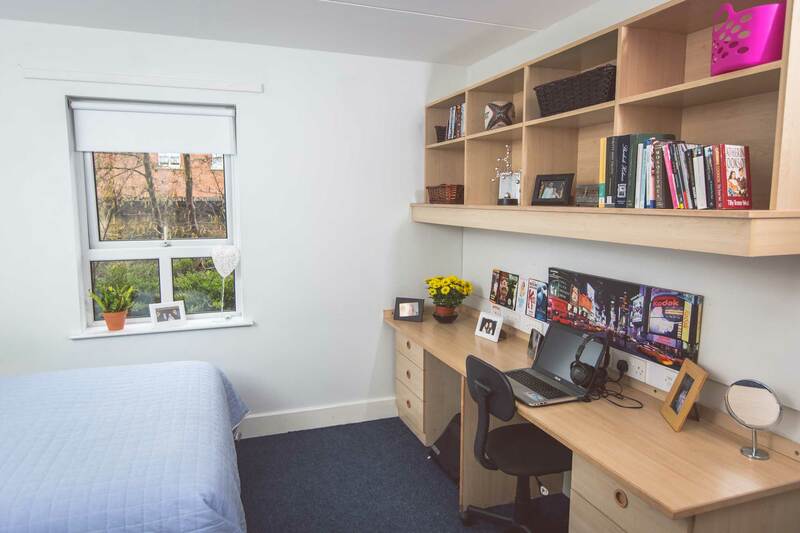 The original three-block development has 158 single study bedrooms, in two and five bedroom apartments which have been recently refurbished. 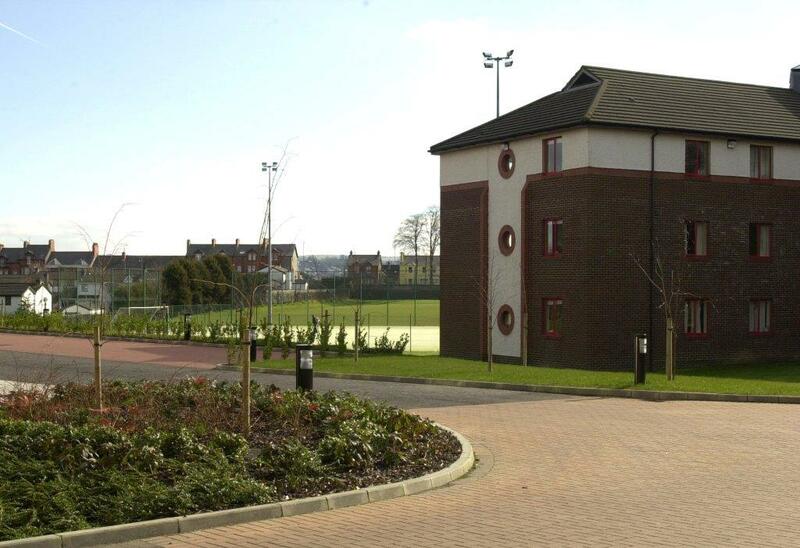 At the access to the site there is a 4G floodlit football pitch, a large grass pitch and a multi-purpose Sports Pavilion. 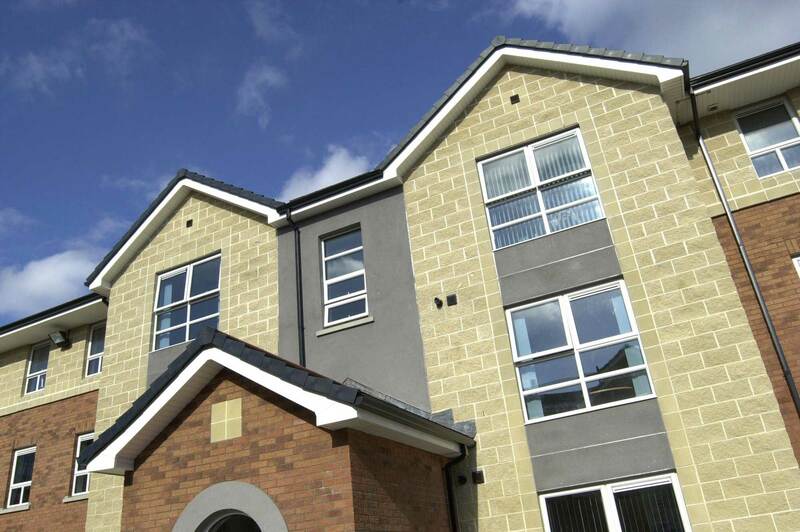 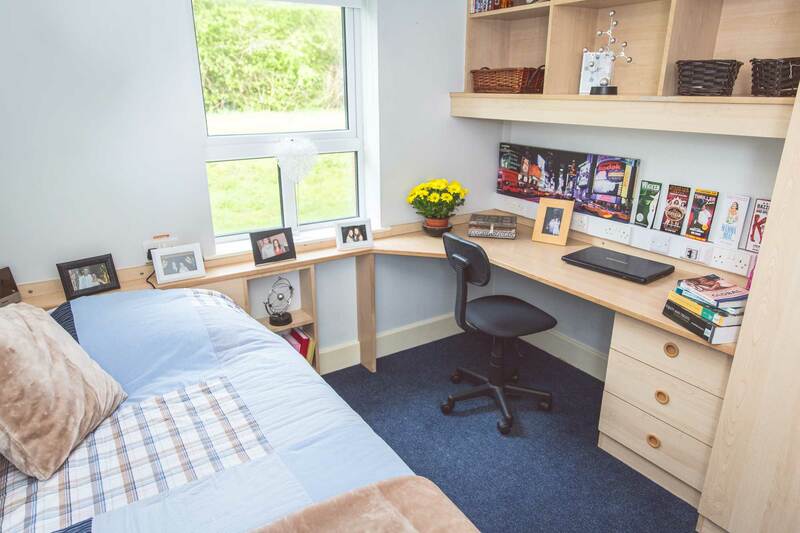 At Duncreggan you will have access to a high speed Wi-Fi facility throughout. 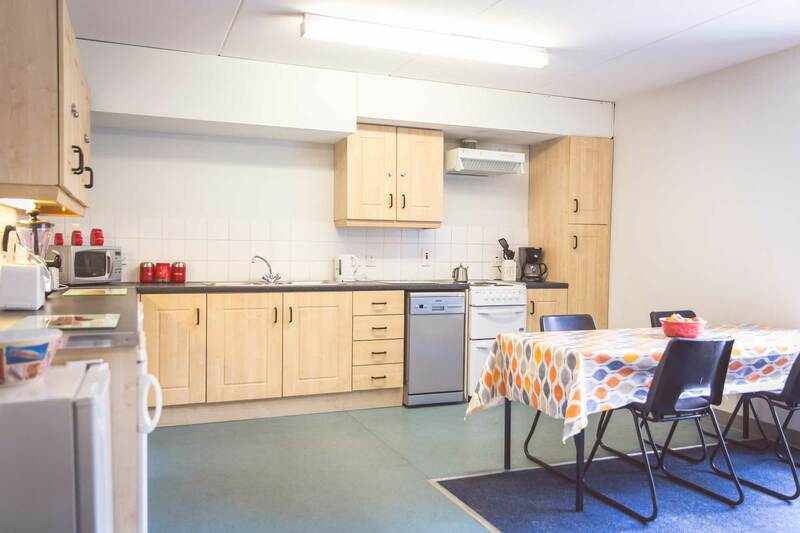 A cash machine and convenience store serving hot food and drinks is available within the Village. 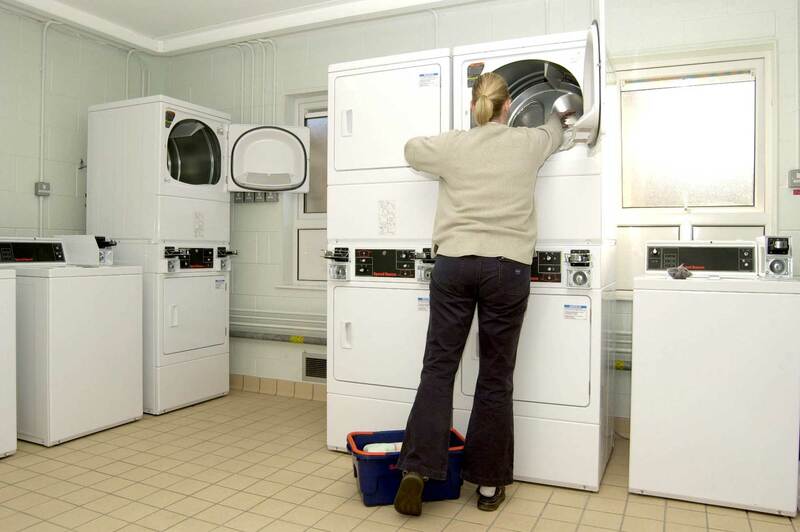 The site contains two launderettes with vending machines for after-hours snacks. 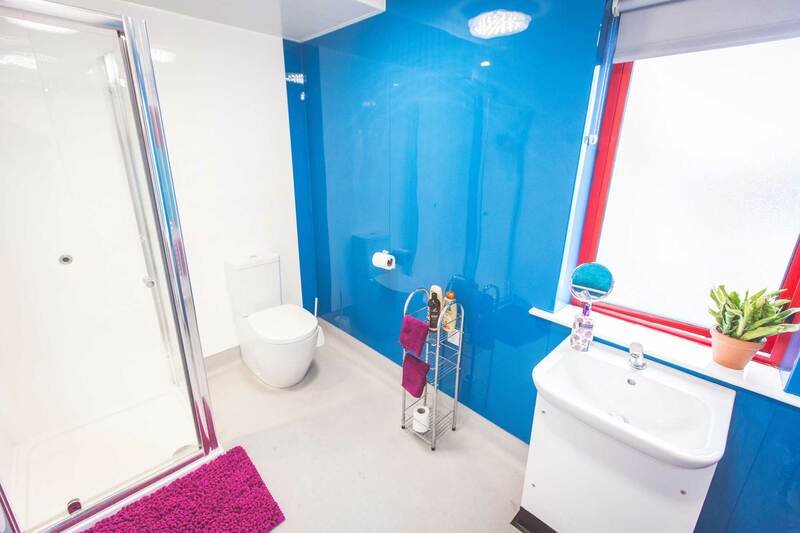 En-suite apartments are equipped with a dishwasher. 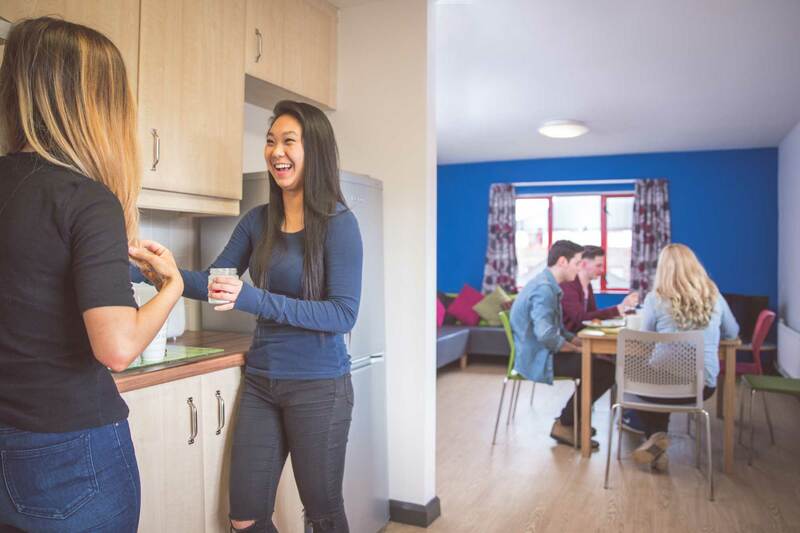 The Residential Services office is located onsite for you to speak to a member of the team as required and to collect parcels. 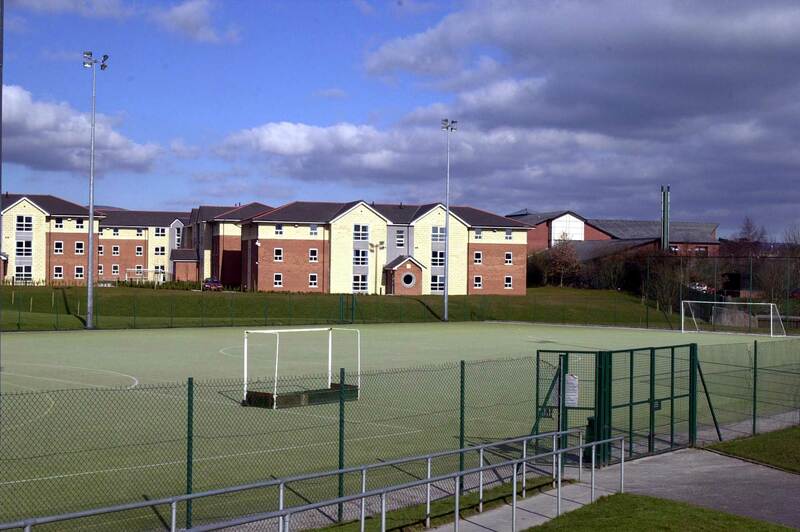 Access control is provided throughout the site and CCTV is monitored by university security. 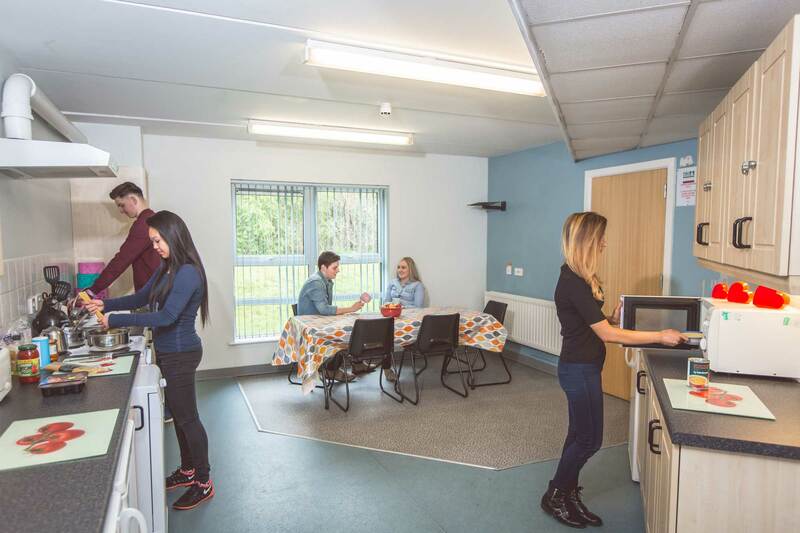 Night Support Assistants and security are available throughout the night to address issues which may arise. 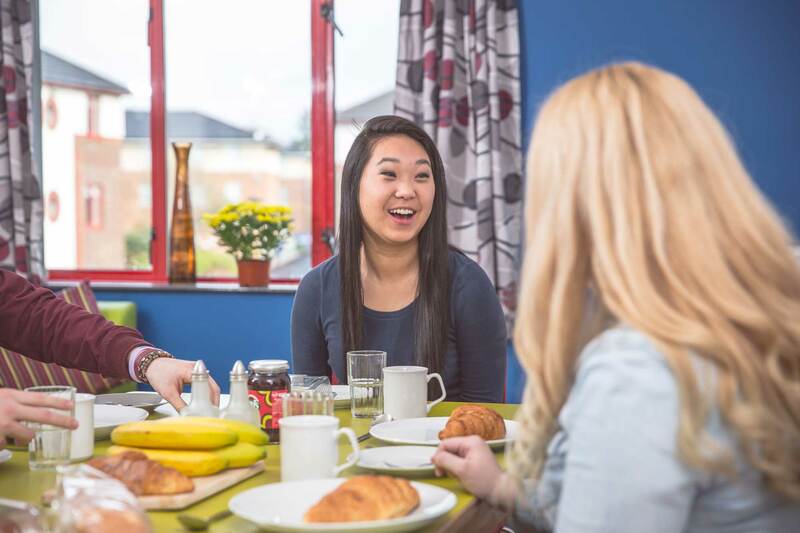 A team of Resident Assistants is available to provide pastoral support, advice and assistance. 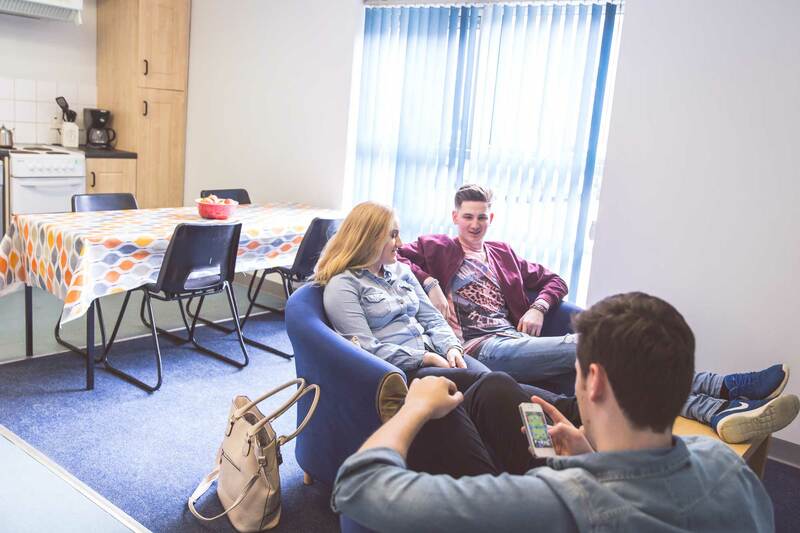 Picnic tables and barbeque space is available for students to relax and unwind outside whenever the weather permits. 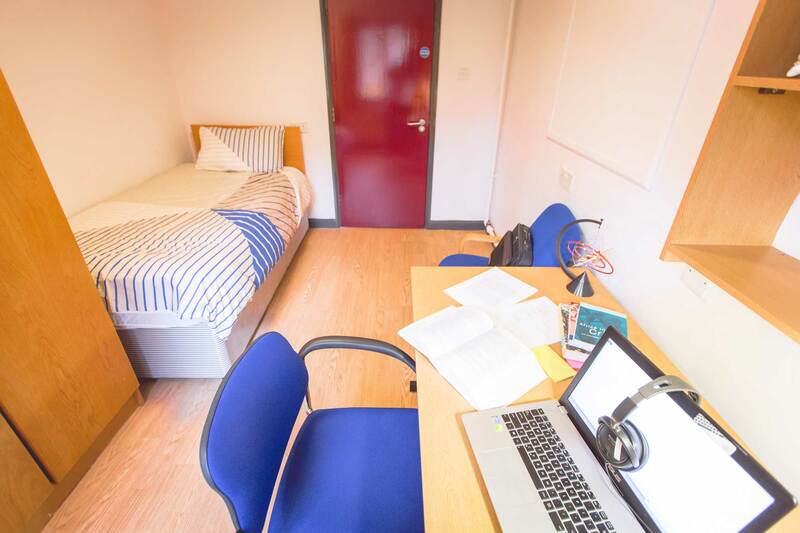 Each spacious study bedroom is fully equipped with a bed, desk, chair, wardrobe and bedside locker. 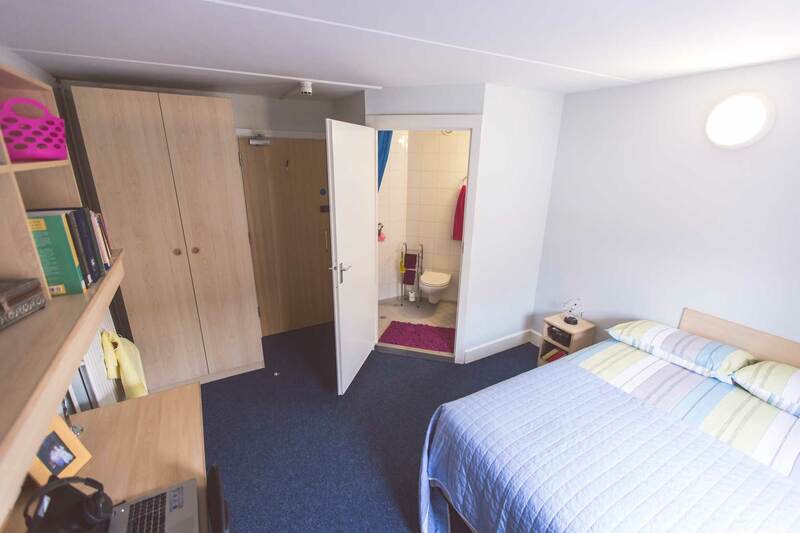 £87 per week. 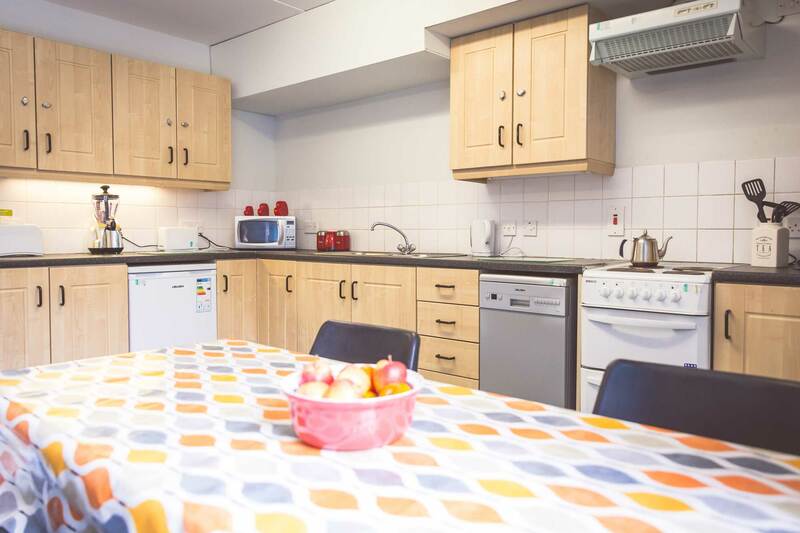 Price freeze for 2019/20! 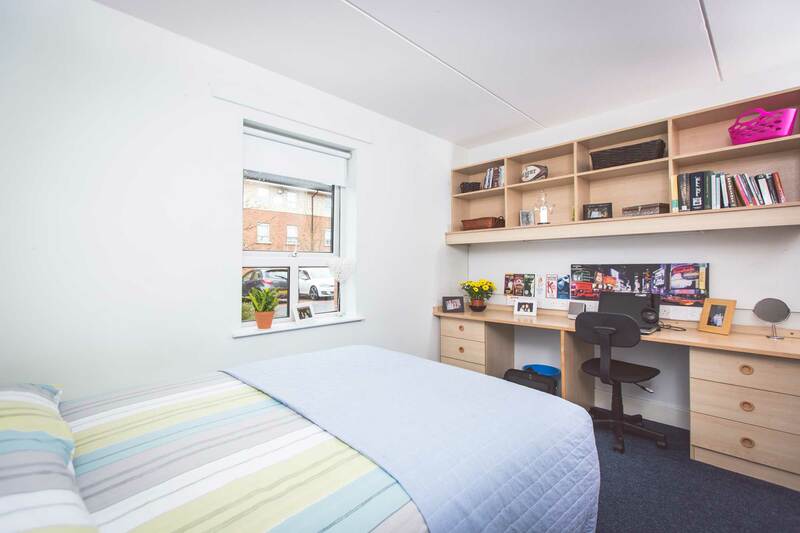 There are 400 bed spaces provided through a selection of six bedroom apartments each bedroom with its own ensuite bathroom facility. 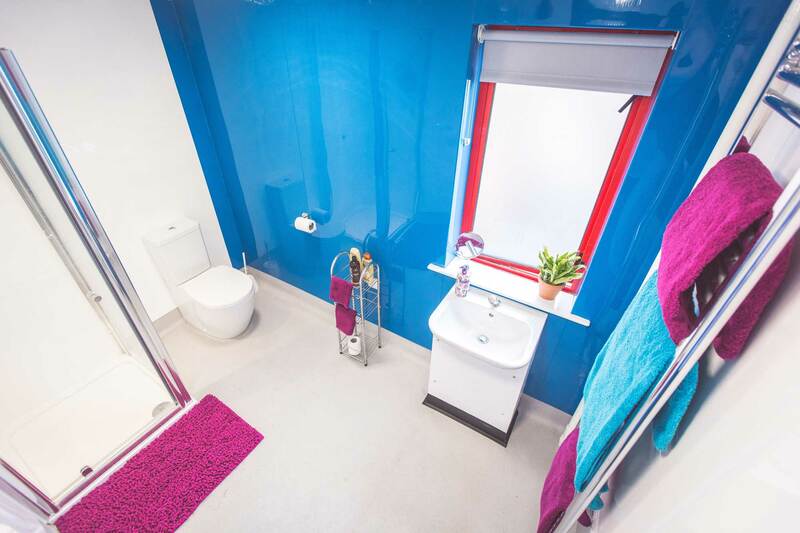 Each ensuite bathroom contains a WC, a wash hand basin and a shower unit. 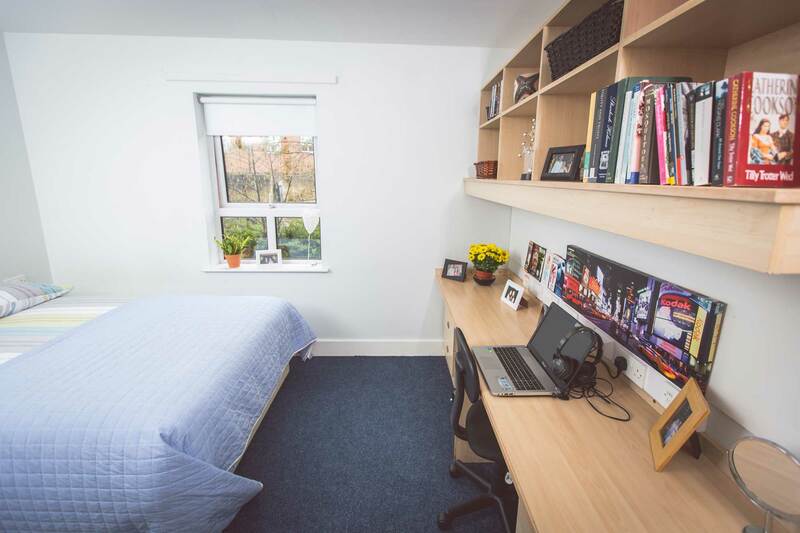 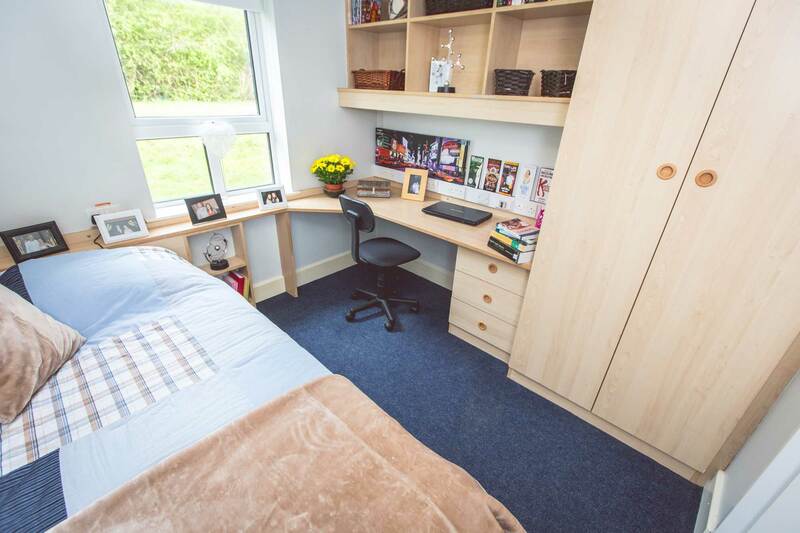 All of the bedrooms are fully fitted with built in wardrobe, bed, desk and study chair. 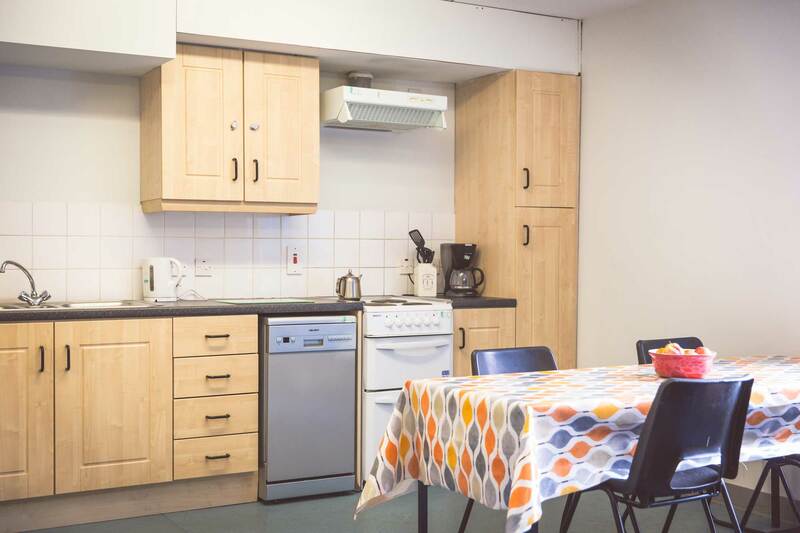 The residents of the apartment share the fully equipped kitchen/dining area. 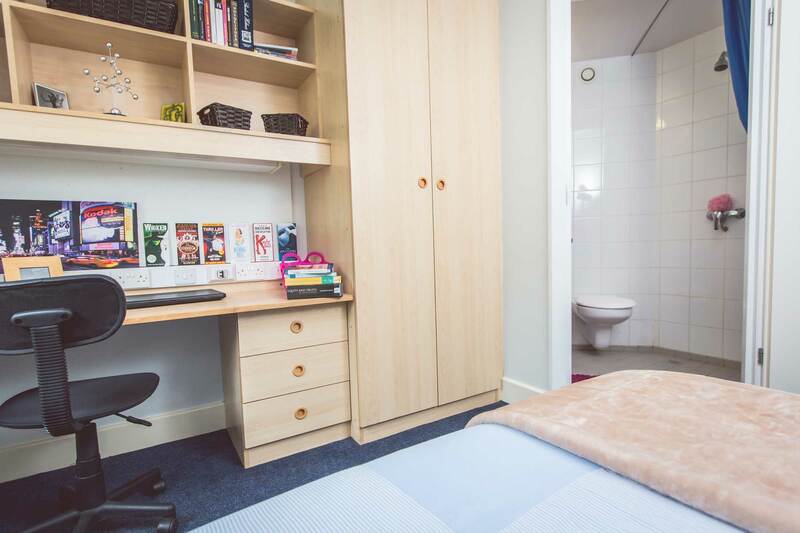 £100 per week. 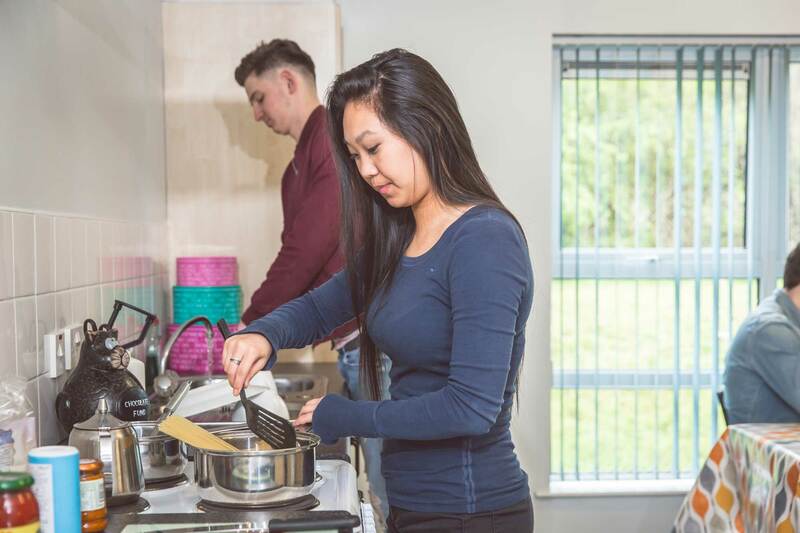 Price freeze for 2019/20! 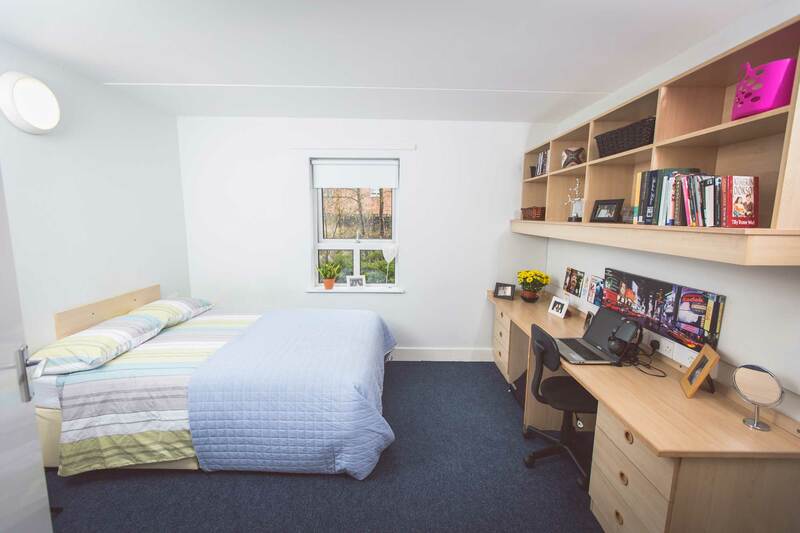 72 of these bedrooms are provided in luxury six bedroom apartments which contain a larger bedroom, and a kitchen equipped with soft furniture, coffee maker, TV and DVD player. 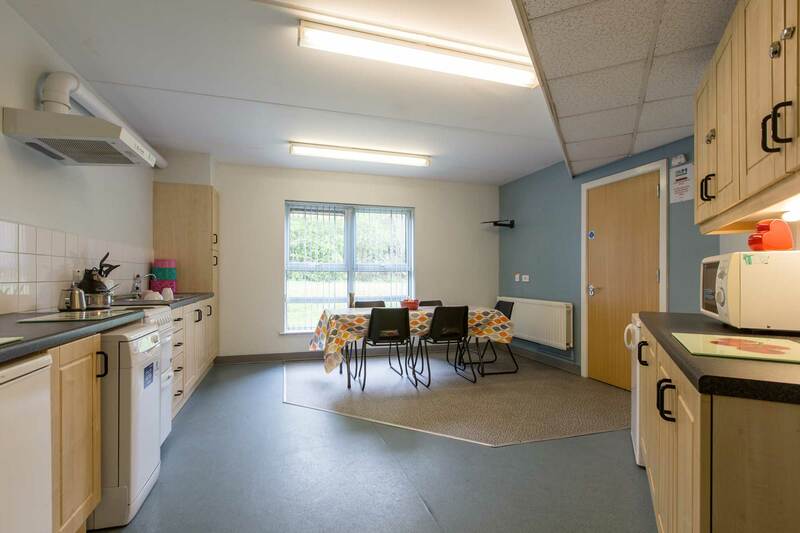 A number of rooms are available throughout the development for students with mobility and sensorial issues. 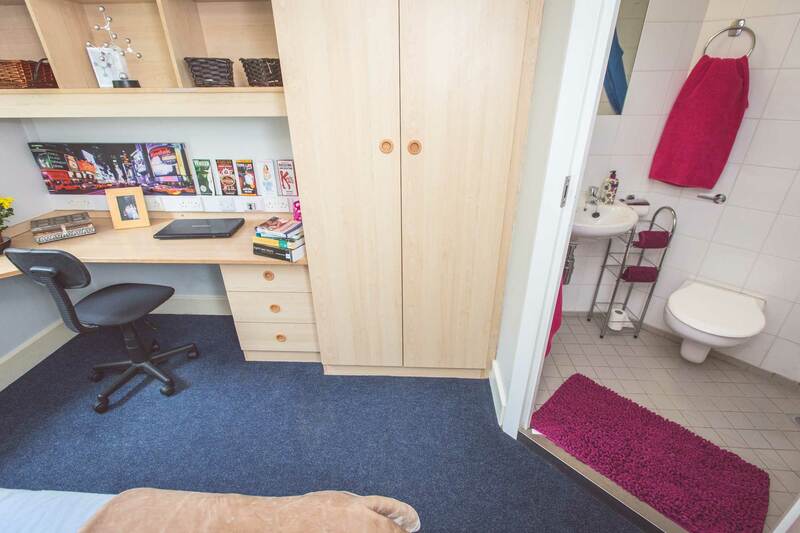 £112 per week. 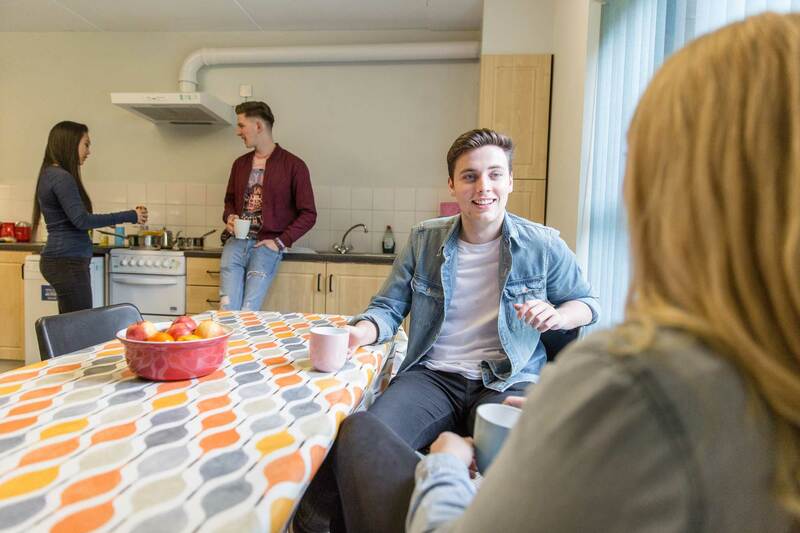 Price freeze for 2019/20! 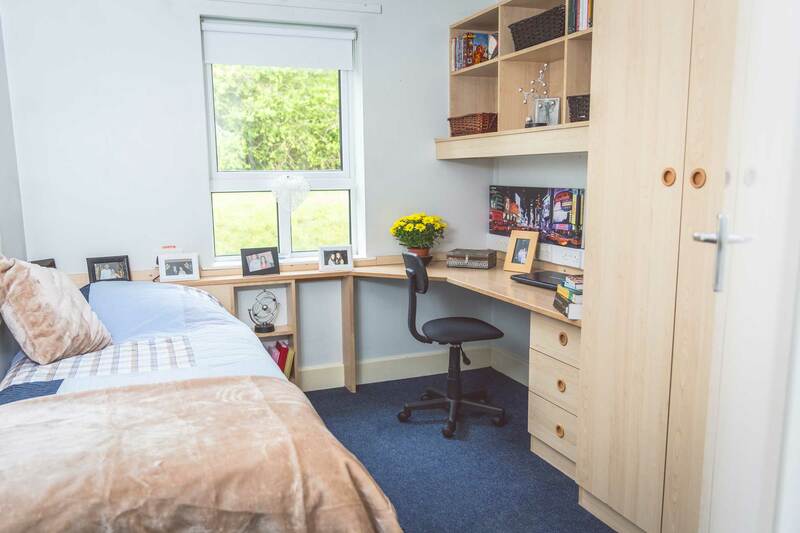 These rooms are ideal for friends, siblings or couples who wish to share a bedroom. 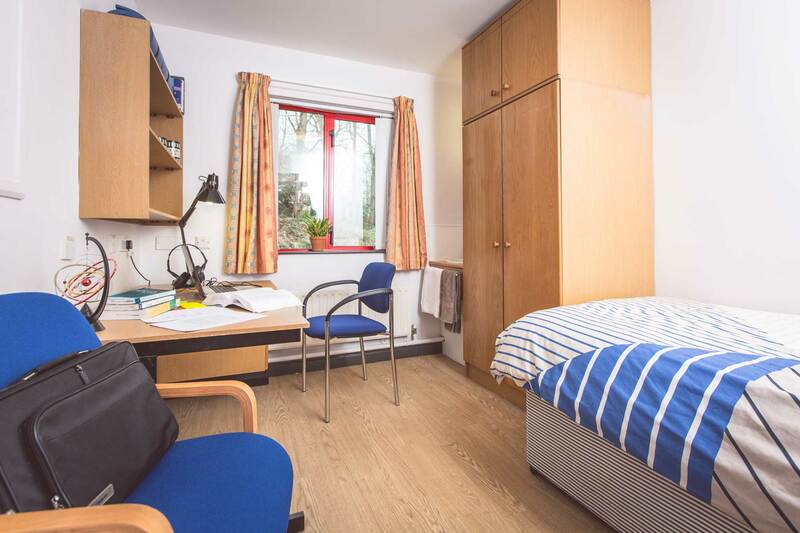 These rooms contain twin single beds, double desk and chair space plus a larger sized bedroom with ensuite. 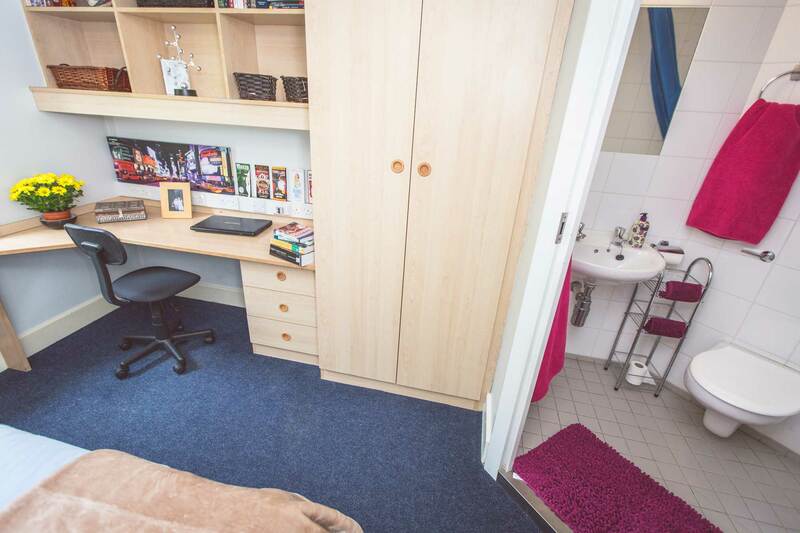 £162 per week. 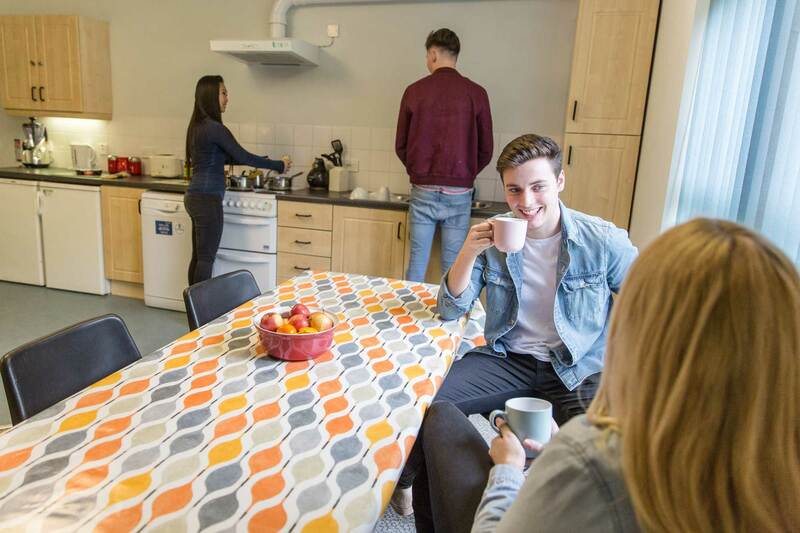 Price freeze for 2019/20! 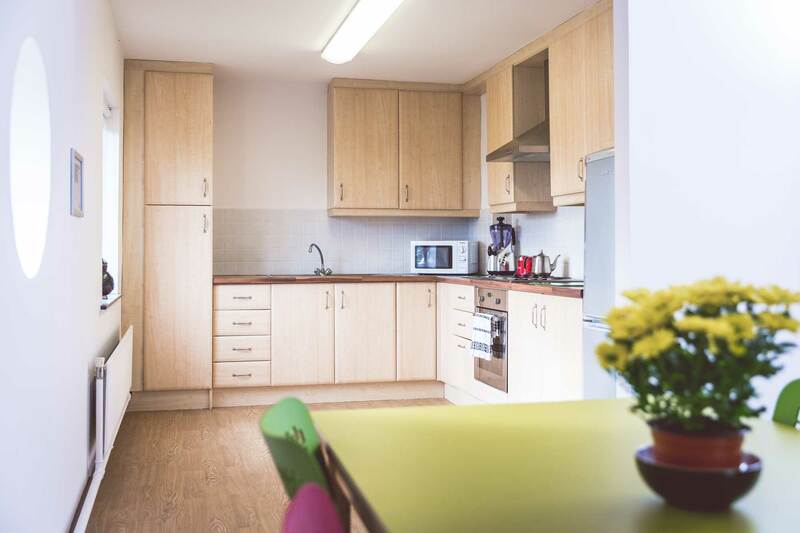 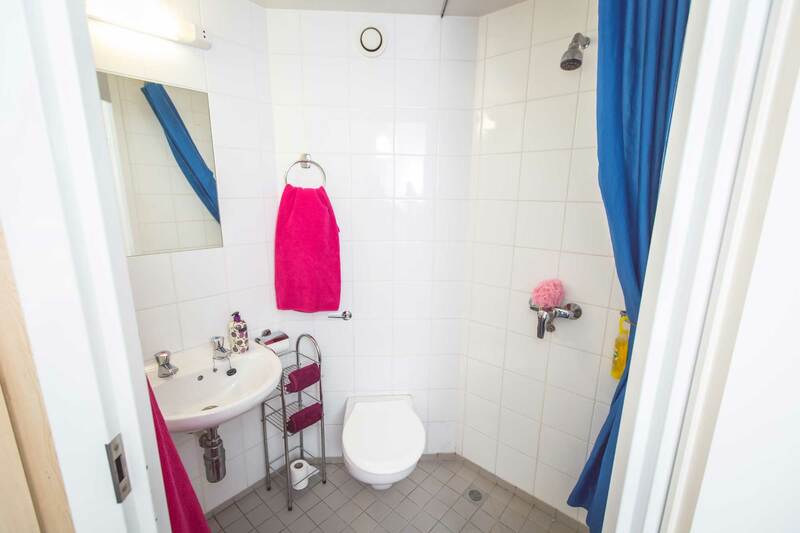 A self-contained two-bedroom apartment for students with children who require their own privacy and independence. 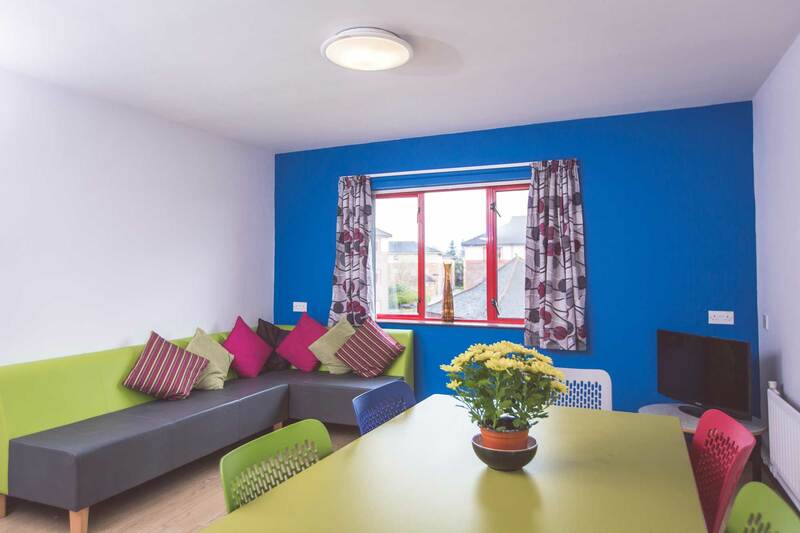 Integrated within the complex are a number of adapted rooms for students with mobility or sensorial requirements. 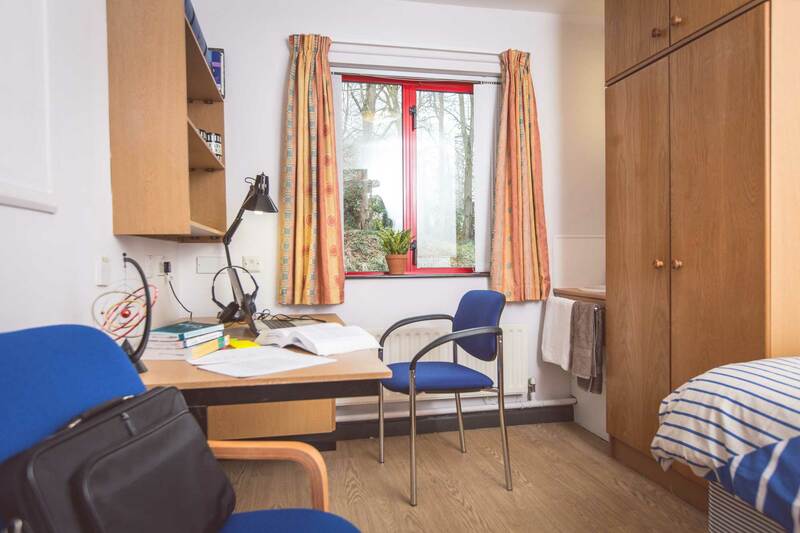 If you require an adapted unit, please contact the Residential Services office and/or the University's Disability Advisor well in advance of your anticipated arrival. 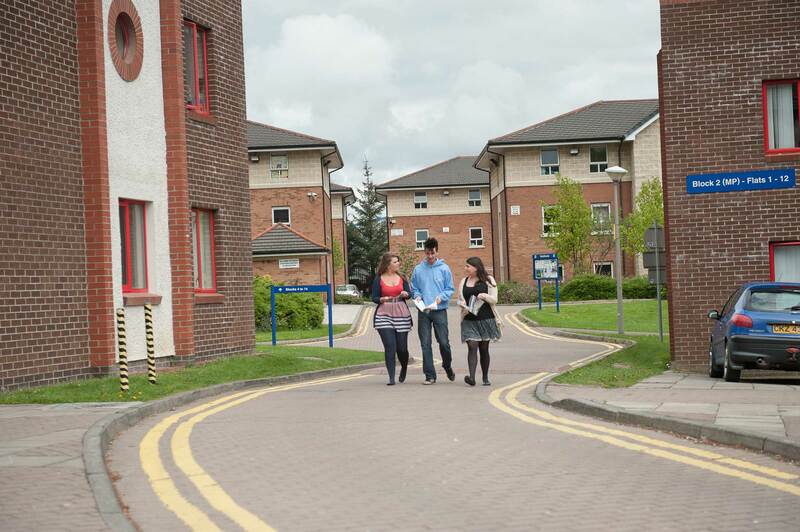 Duncreggan Village is a 6 - 7 minute walk away from the main campus buildings.